Rudy Giuliani told the AP: "That's a no-go. That is not going to happen." But told NBC those questions are "not ruled in or out." President Donald Trump’s attorney Rudy Giuliani said Thursday that the president would not answer questions about obstruction of justice from the special counsel’s team, but in a subsequent interview was less definitive. Special counsel Robert Mueller is investigating Russian interference in the 2016 presidential election, whether there was any collusion involving people associated with the Trump campaign, and also whether there was any obstruction of justice. Giuliani’s statements Thursday come after wrangling over whether Trump would submit to an interview, whether in person or in writing. "We have said we would agree to written questions on Russia after we review questions but no further commitment on interviews. After we finish this we will assess it with no agreement to any post-presidential questions,” Giuliani told NBC News. The president's lawyer added that for now there’s “no commitment on obstruction which are post-presidential matters” but says the legal team will agree to talk “after the collusion/pre-presidential questions are over." The AP reported that Giuliani's firmer statement to them was the most definitive rejection yet of Mueller's efforts to interview the president, and that it signals that Trump's lawyers are committed to protecting the president from answering questions about actions he has taken in office. Mueller's team has steadfastly refused to comment on matters relating to any interview, leaving Giuliani’s statements largely the only public account of any process. A person familiar with the matter said Mueller's team indicated it would accept written responses from Trump on questions related to Russian election interference. In the latest letter to the legal team, Mueller's office didn't address obstruction questions, indicating investigators would later assess what additional information it needs from the president after receiving a response about the written submissions, according to a person familiar with the document, the AP reported. Trump has repeatedly denied any collusion took place. Though the president has publicly said he is eager to face questions from Mueller, his lawyers have been far more reluctant to make him available for an interview and have questioned whether Mueller even has the right to ask him about actions that he is authorized, under the Constitution, to take as president. The Supreme Court has never definitively ruled on the question of whether a president can be forced to testify, though the justices did rule in 1974 that President Richard Nixon had to produce recordings and documents that had been subpoenaed. 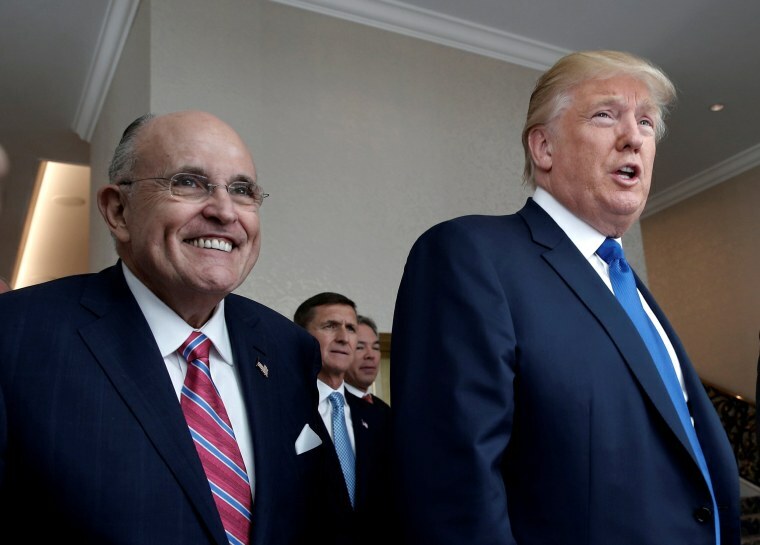 Trump and Giuliani have led an onslaught of attacks on Mueller's credibility, claiming that the special counsel was biased and that the entire probe was a "witch hunt." Giuliani has also demanded that the probe suspend its activities with the midterm elections approaching, but the former New York City mayor said Thursday he was not certain of Mueller's intentions.